The United States Citizenship and Immigration Services office offers green cards to applicants of an L1 Visa. The L1 Visa is issued to a manager, executive or someone with specialized knowledge employed by a foreign business entity. This person has been working abroad for at least one continuous year within the past three years and the company abroad is related to the US business that will be established or is established. The Visa applicant will be coming to the United States to open a new office for the company and the new office will be active and operating shortly after the arrival of the L1 Visa applicant. 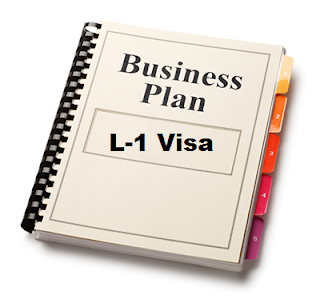 When applying for an L1 Visa, one of the supplemental documents that is used to enhance and improve the application is an L1 Visa Business Plan. The L1 Visa business plan, like all business plans written for visas for the immigration office, are specific business plans tailored to show the United States Citizenship and Immigration Office the criteria and qualifications that are delineating in the Visa being applied for. A business plan writer undertaking to develop an L1 Visa business plan needs to make sure that the business plan written showcases the four requirements necessary to be approved for an L1 visa application. These requirements include that the petitioning US entity must qualify in relationship with the entity abroad. This means that the company must have a Nexus between the entity abroad and the new company. This is usually proved the ownership of stock in the new entity within the United States or setting up the new entity in the United States as a subsidiary or as a wholly owned company of the parent company abroad. The second requirement is that there is sufficient physical space to be secured for a new office within the United States by the foreign entity. This is generally proved by a lease of new offices or purchase of an office building within the United States. The third requirement states that a new office must be active and operating within one year after the L1 admission to the United States. The final requirement says that after one year, the new office must support managerial or executive position if you are requesting extensions to stay in the L1A Visa classification. When writing an L-1 Visa business plan the most important thing to focus on is that the five requirements are met and that you clearly define that the person applying for the L1 Visa is a manager, executive or has specialized knowledge. The purpose of this Visa is to make sure that only people that are critical to the success of the organization in the United States are given residency in the United States. This means as a manager, they must have employees that they manage or must manage money OR businesses that would otherwise not be suitable to be outsourced to a current citizen within the United States. Executives meet this criteria as well as people with specialized knowledge. Examples of specialized knowledge can include software developers, engineer's or even medical doctors. The more specialized a trade or job then the more likely it will fall within the criteria of specialized knowledge for an L-1 visa application. A business plan writer of an L-1 Visa should adhere strictly to the guidelines given on the website at uscis.gov to assure that an application for an L1 visa and the supporting documents in the form of a business plan has the best chances to get approved. A quick search for immigration business plan writers will lead you to dozens of results online. Nicholas Coriano has not only written over 200 business plans for clients on all five continents but also has a background in law giving him a competitive advantage versus other business plan writers. When developing immigration business plans, his keen understanding of Visa applications allows for business plans that are written specifically-tailored for approval by that United States Citizenship and Immigration Services office. If you are ready to develop your business plan, contact Nick today at 203-685-0346.